Louisiana's Abita Brewing recently contacted me about their newest beer, Wrought Iron IPA. Along with a few samples, they sent a koozie and bottle opener. 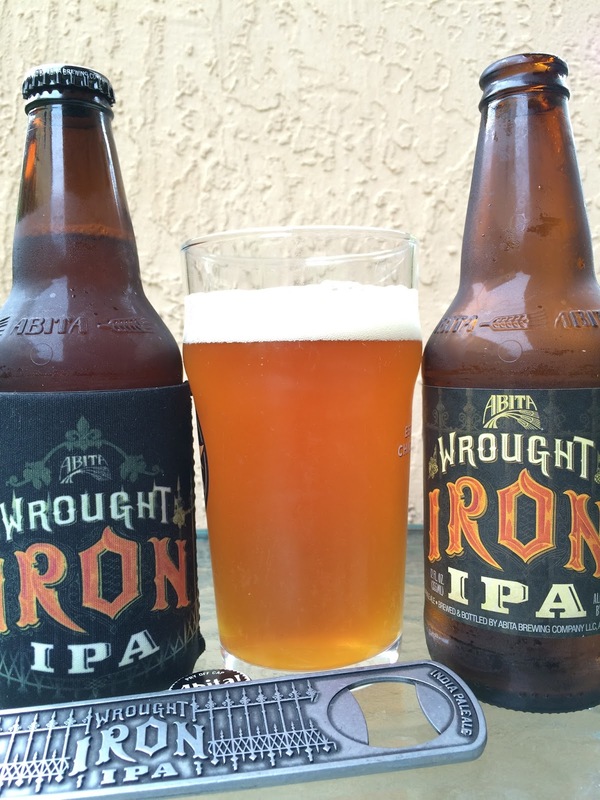 I swear, the koozie is an identical replica of the beer label which has an iron fence background and the word IRON constructed with fiery red-hot iron. 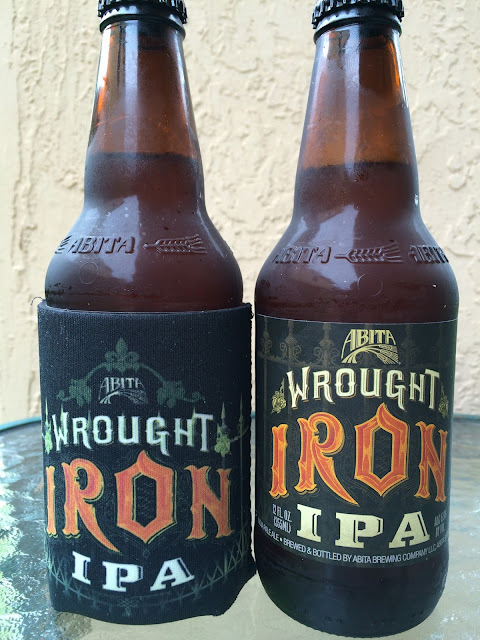 The story on the back says "Wrought Iron IPA embodies the resilient, indestructible nature of New Orleans." 6.9% alcohol. Pretty malty aroma, and when you really get your nose in the glass, a very nice tropical pineapple and orange surface. Sweet tropical fruity flavors at the beginning as well. Those meet some piney and citrus bitterness. That bitterness is more noticeable at the finish. Enjoyable beer. Check it out!